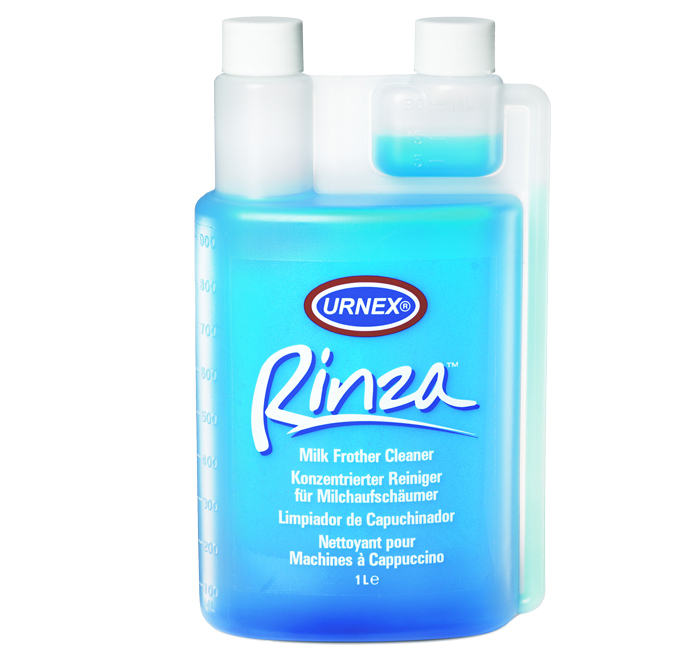 RINZA Milk Foamer Cleaner from Urnex Brands USA comes in a 1 Litre Bottle with dosing format suitable for use in the milk foaming system of bean-to-cup coffee machines like Jura, Franke, WMF and La Cimbali commercial heavy-duty bean to cup machines. View our main website here to see more details and purchase RINZA on-line along with coffee beans, leaf teas, hot chocolate and paper cups for swift delivery anywhere in the UK. 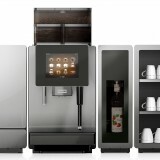 You can also view sheer range of commercial bean-to-cup coffee machines and traditional espresso machines and 3 group coffee machines that we offer. To fill dosing chamber, loosen cap and squeeze bottle. Mix solution of 30 ml Rinza per 500 ml cold water. 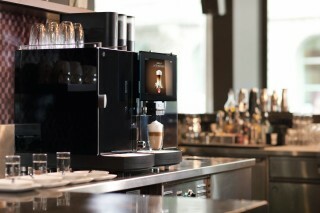 Insert suction line from milk frother into solution. Repeat above with clean cold water so as to thoroughly rinse. 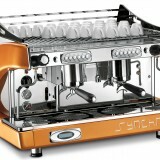 Soak parts or steam wand for 15-30 minutes in 30 ml Rinza per 500 ml warm water. Visit our London Clerkenwell showroom at 47 Gee Street, London, EC1V 3RS or our Falkirk Head Office Showroom at Lomond House, Russel Street, Falkirk, FK2 7HS or simply call us up to discuss your own particular needs! 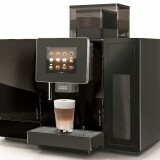 We are coffee machine consultants after all!